Humeri of Pessopteryx nisseri and vertebrae referred to Cymbospondylus sp. are described from the Lower Saurian niveau at Marmierfjellet, Spitsbergen. This is the most well-preserved Cymbospondylus material described from the Early Triassic so far, and the first description of new material of Pessopteryx nisseri since the species was established. The taxa are not represented by articulated or overlapping material. Herein, the most diagnostic material of both taxa is described and discussed, and the possibility that there is only one large-sized taxon present is suggested. Several specimens of Ichthyosauria indet. are also described. Comparisons are made to previously described specimens from the Lower Saurian niveau, including the disputed Merriamosaurus hulkei. The Boreal Ocean of Svalbard is of particular interest due to its position at the northern margin of Pangea, between the Early Triassic localities of today’s British Colombia and Nevada, and South China. 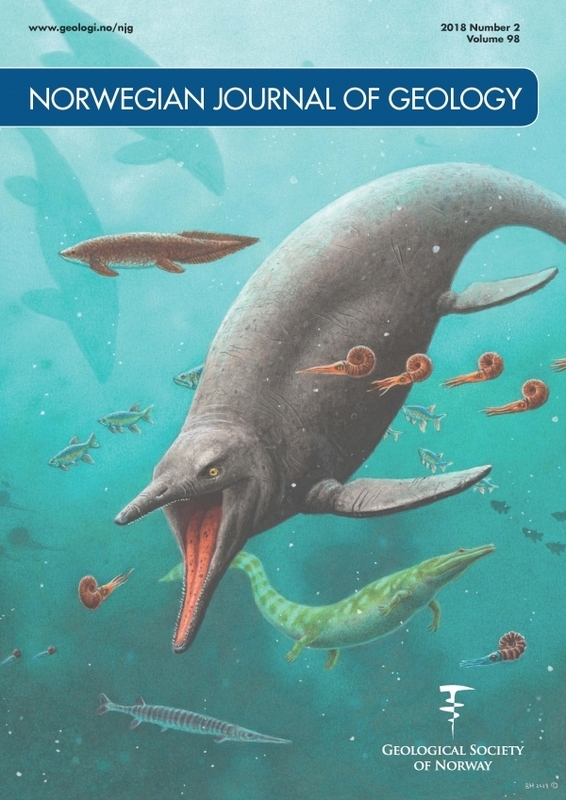 More than 2000 three-dimensional and disarticulated fragments show that large-sized ichthyosaurs had evolved and were numerous by the Early Triassic. This is the first time since the collections of Carl Wiman that the Lower Saurian niveau has been systematically sampled and placed in the modern stratigraphy.